Photos: On well-lit Hawthorn twig. County Cork, SW Ireland. 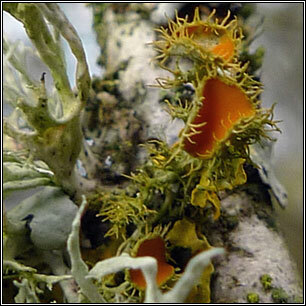 Thallus forms small, compact tufts. 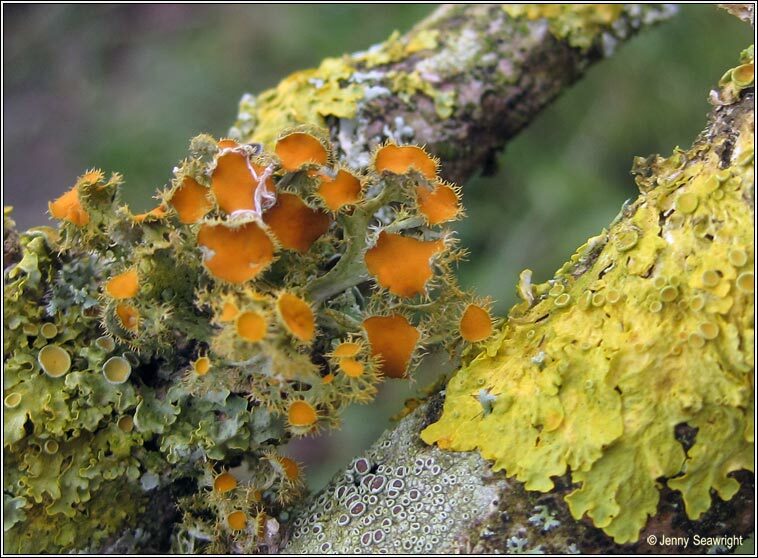 Flattened, radiating, irregularly branched lobes, upper surface yellow-orange, lower surface greyish. Soralia absent. 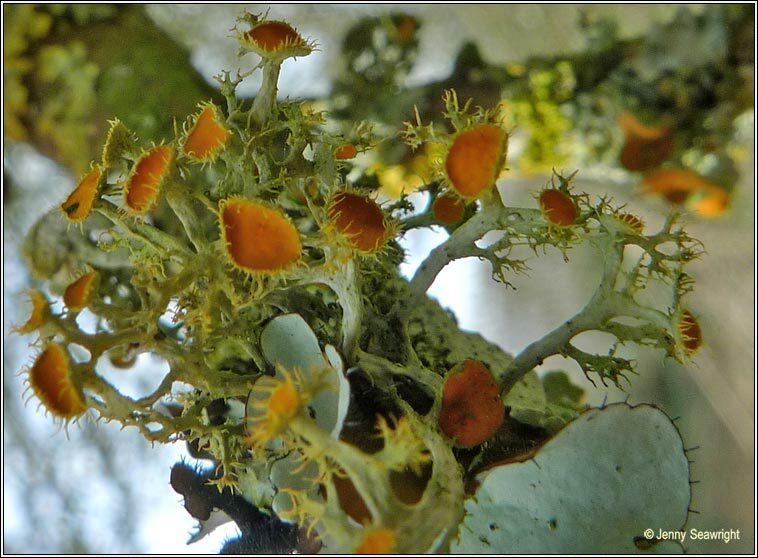 Usually abundantly fertile, the bright orange discs are surrounded by conspicuous, eye-lash like fibrils. 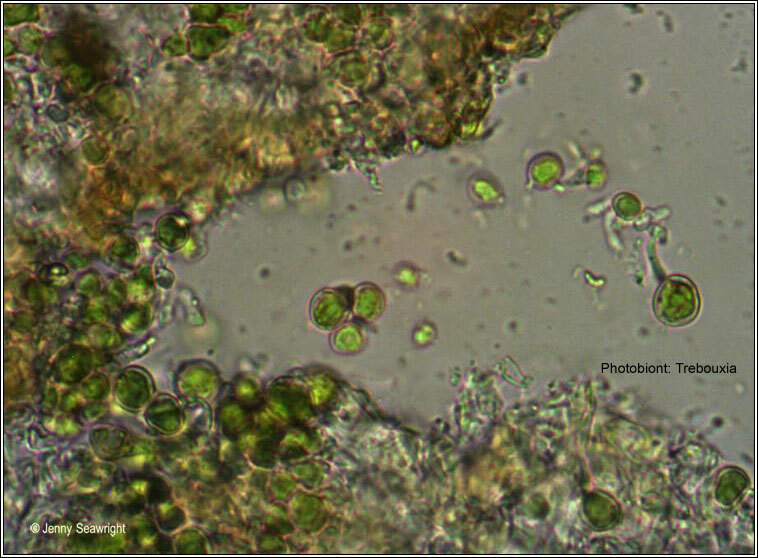 The asci are 8-spored, spores polarilocular, 10-15 x 5-8 µm. 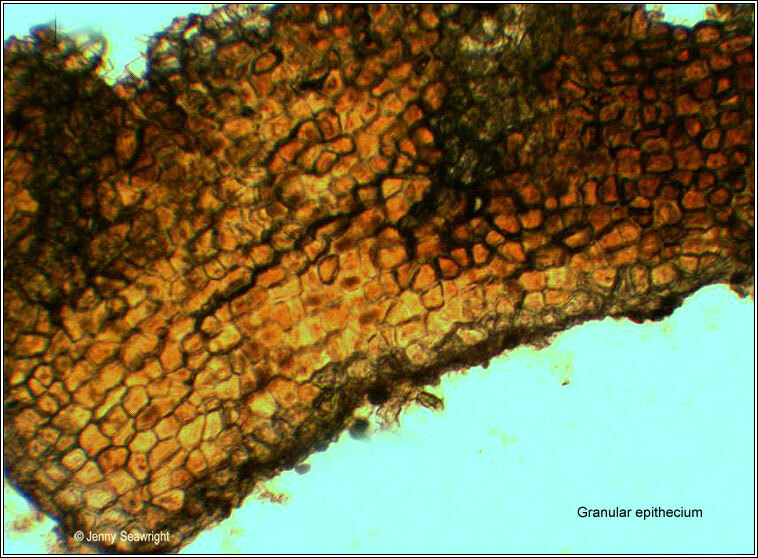 Micro photos below, showing the granular epithecium and trebouxioid photobiont. 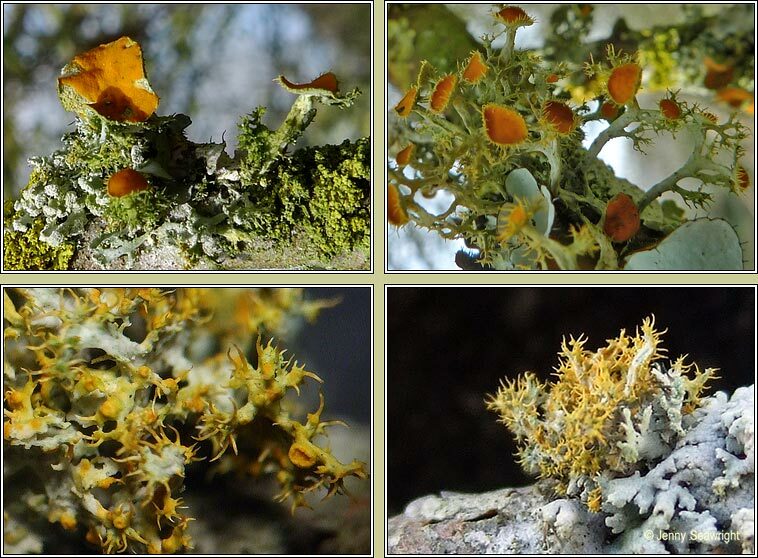 A mediterranean species found on sheltered, nutrient-rich, well-lit twigs. Very rare, recently rediscovered in Ireland in Co. Cork. Please contact me if you find errors. All images used are copyright.